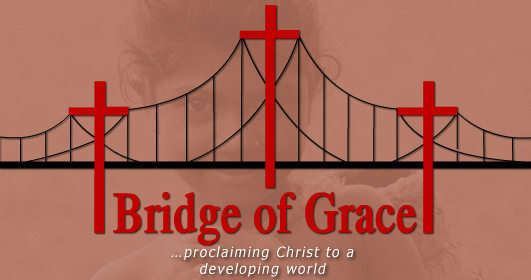 Please make checks/money orders payable to "Bridge of Grace". Required fields are indicated by an asterisk (*). Note: You do not need to create a PayPal account to give online. Please Note:In order to process your donation we ask that you please fill out the shipping information on PayPal. Developed by: e-2-D Copyright © 2007 Company Name. All Right Reserved.